After reeling off four straight wins on Saturday, Grady has run the gauntlet and emerged in the ultimate Frisbee Final Four. Photo courtesy of the Grady Gauntlet. 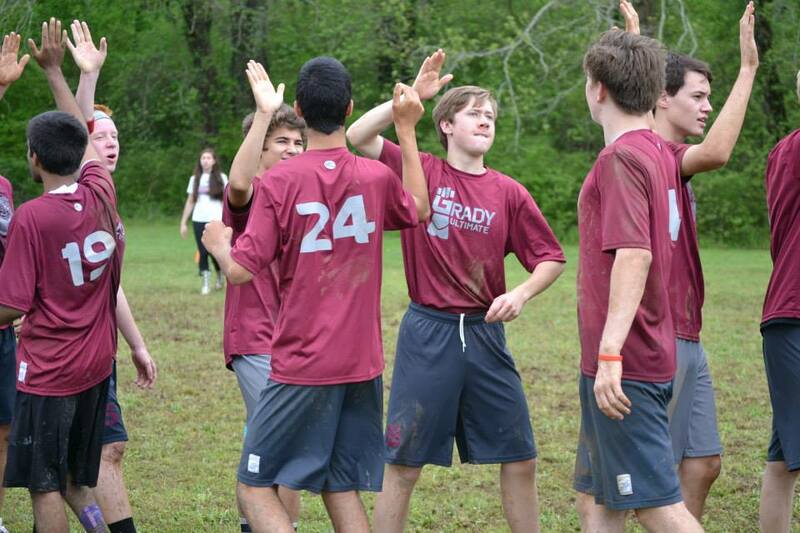 The Grady Gauntlet, the boys varsity ultimate Frisbee team participated in part of its state tournament on Saturday, April 18. The tournament was originally scheduled to be a two-day event, played on Saturday and Sunday, but due to inclement weather, the boys were only able to play Saturday. Despite the constant rain and muddy puddled fields, Grady won all four of its games against Atlanta International School, Druid Hills, Brookwood and Chamblee. Now, Grady is seeded third in state behind only top-seed Lakeside and second-seed Paideia and just ahead of fourth-ranked Brookwood. The seeding is subject to change, however, as final rankings cannot be determined until the semifinal and championship rounds are played. 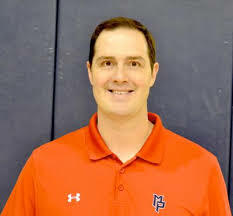 In Grady’s first game against Atlanta International School, the Gauntlet kept possession of the disc for almost the entire game, forcing turnovers every time AIS had possession. At halftime, Grady led, 6-0. After junior Connor Downey laid out for a score followed by two more scores by sophomore John Roorbach and junior Alex Cameli, AIS finally scored to make the game 9-1. AIS almost scored again, but the point was rejected due to a violation. Grady scored twice more to win their game, 11-1. The Gauntlet next played Druid Hills, but the outcome was not determined nearly as quickly as the previous game. The game started out fast with a Grady score quickly followed by a Druid Hills score, but after Grady scored twice again, the disc went back and forth between end zones, with frequent turnovers by both teams. 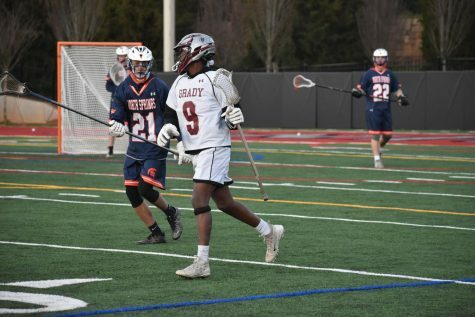 Once senior captain Griffin Kish caught a pass from senior Ike Hammond for a score, however, Grady went on a scoring run, resulting in another 11-1 Grady win. After those two easy wins, Grady had to play Brookwood, which also won its first two games. Going into the tournament, Grady was seeded third with Brookwood right behind them, so they were determined not to let Brookwood win this game. Brookwood scored twice in the beginning, but Grady answered those goals to tie the score. The lead switched back and forth. Brookwood scored and Grady would follow. Grady broke a 4-4 tie and then scored three times before Brookwood was able to score again. A hard time cap forced the game to end with Grady ahead 9-8. The three victories enabled Grady to finish first in its group and advance to the quarterfinal playoff round where it faced Chamblee High School. This game was tied in the beginning and stayed that way for some time, but Grady converted on several scoring chances to lead 6-2 at halftime. Both Grady and Chamblee continued to trade goals in the second half, but Grady stayed ahead. Chamblee scored twice before the game was capped with a Grady ahead 10-7.